The exact cause of thyroid cancer is not known. Similar to how other cancer forms develop, changes in the DNA of cells is responsible for the development of thyroid cancer. These alterations could either be genetically inherited or occur over a period of time. But, it is well established that cancer is not contagious. 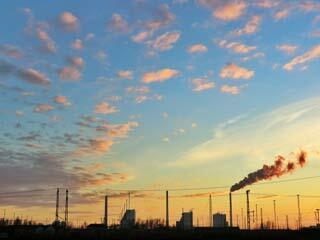 Exposure to radiation increases one's chances of getting thyroid cancer. A mere dental X-ray, however, does not increase the chances of developing thyroid cancer, but a radiation therapy to the head, neck or chest surely does. There has been significant amount of research to understand DNA changes that become cancerous. Most cancers are not inherited, which means that DNA gets damaged by the exposure to something in the environment such as radiation or smoke during the course of one's life. 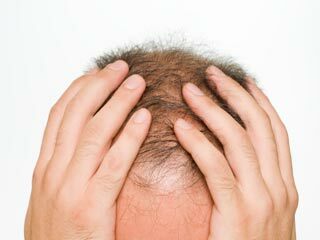 The cancer may also occur when unexpected changes take place inside a cell without a specific external cause. 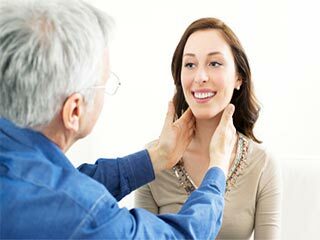 Thyroid conditions i.e., either underactive or overactive thyroid are not related to the risk of thyroid cancer in any way, however, non-cancerous conditions such as nodules (adenomas), goitre (an enlarged thyroid) and thyroiditis (inflammation of the thyroid) increase thyroid cancer risk. 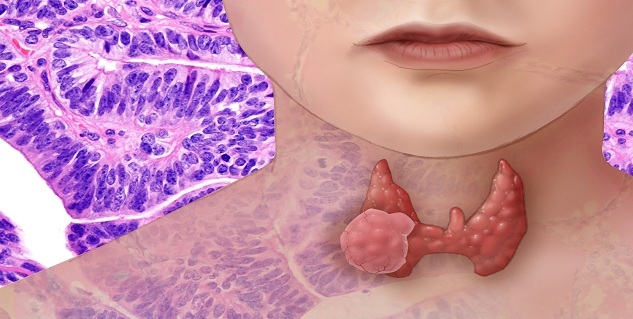 Thyroid cancer is more likely to develop in individuals who have had radiotherapy treatments at a tender age, though the cancer usually develops years later. Survivors of atomic explosions or accidents are also at an increased risk of developing thyroid cancer. Individuals with low levels of iodine in their body are at more risk of thyroid cancer after any exposure to radiation. Individuals with a family history of thyroid cancer are at a higher risk of developing thyroid cancer. Familial adenomatous polyposis (FAP), a condition caused by an inherited gene, increases the chances of developing thyroid cancer. Women with non-cancerous breast conditions are at increased risk of thyroid cancer. Individuals who have been treated for breast cancer, oesophageal cancer, testicular cancer or non Hodgkin's lymphoma have high risk of developing thyroid cancer. These are the possible risk factors for thyroid cancer suggested by research reports over the years. Although thyroid cancer is a rare form of cancer, it is favourable to be aware about its symptoms and treatment options for better prognosis. Read more articles on Thyroid Cancer.